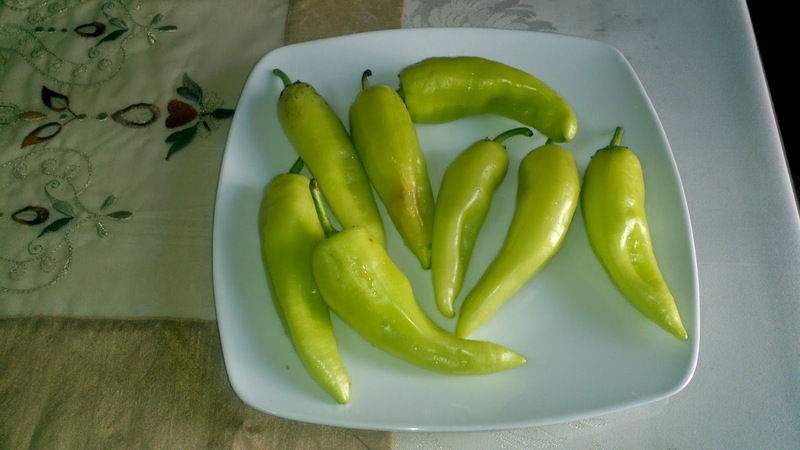 Another traditional summer Greek appetizer or meze as we call it. The main ingredient for this dish is the feta cheese and as you already know I always prefer Kefalonian feta it's spicier. 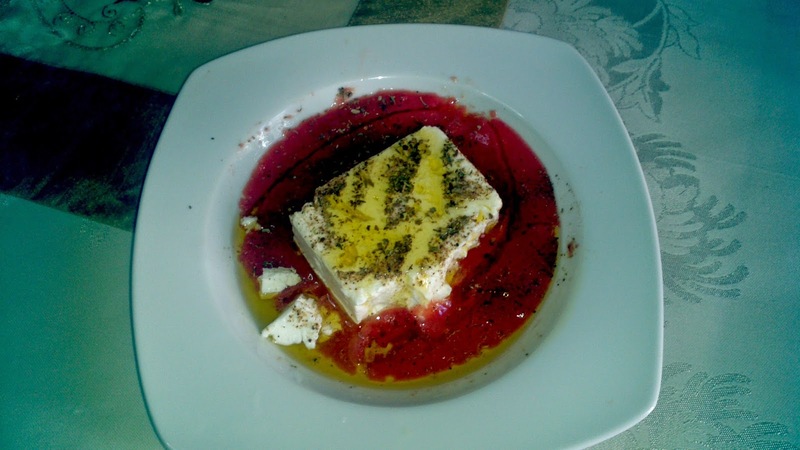 This is a recipe my cousin passed on to me from one of her favorite restaurants, here on the island of Corfu. You can serve this meze with a lovely glass of dry white wine. This is a great appetizer if you have family or friendly get togethers. 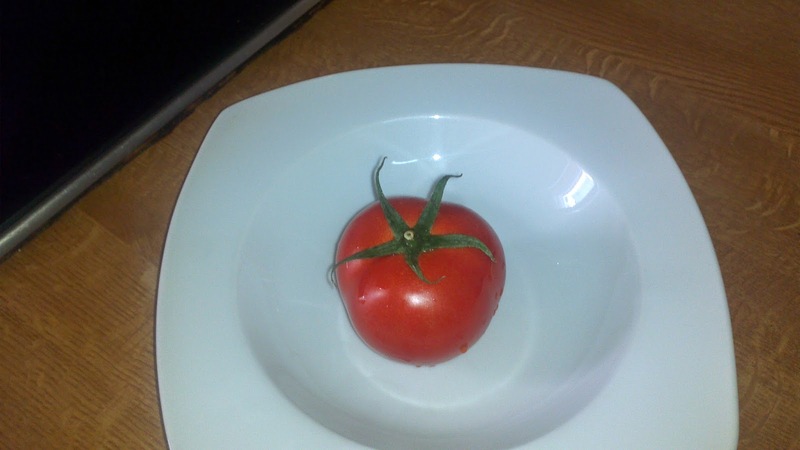 Empty the tomato in a soup plate or in a bowl. Take your feta slice and place in the plate add about 6 tablespoons of olive oil, pepper, oregano ( fresh would be better), crushed fresh tomato and if you want them a bit spicy add a few drops of tobasco sauce. 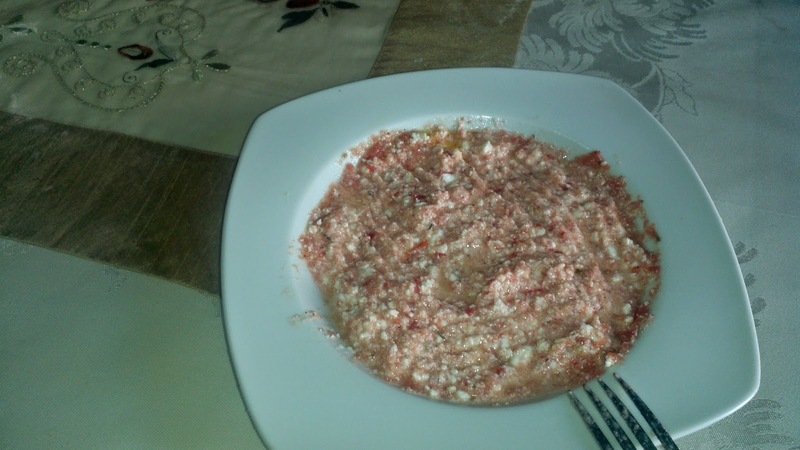 Mash the feta cheese with the purred tomato. 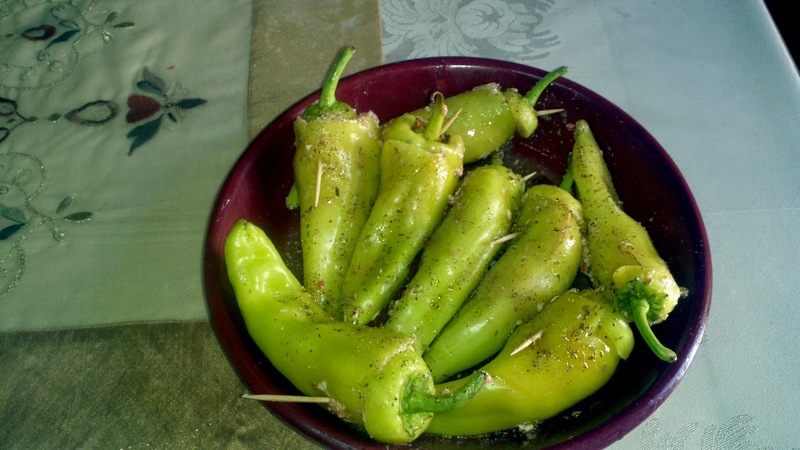 Take your long peppers cut the top off, set aside and clean the inside, sprinkle with a dash of salt and your peppers are ready to be stuffed. 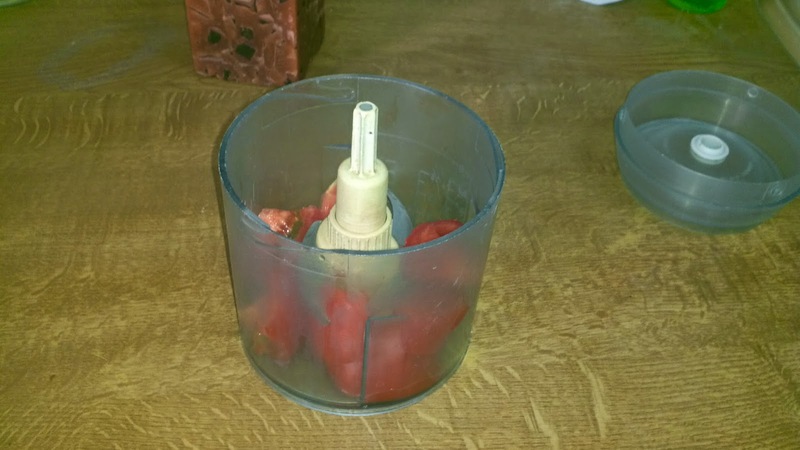 Once you have stuffed all your peppers with a toothpick put the tops back on. Sprinkle with salt, pepper,oregano and olive oil. Bake for about 20 minutes or until brown. Ooooo...those look so good! Great for football season, too! Well, that looks simple enough. :) Yummy too! I guarantee you, it's very yummy ! 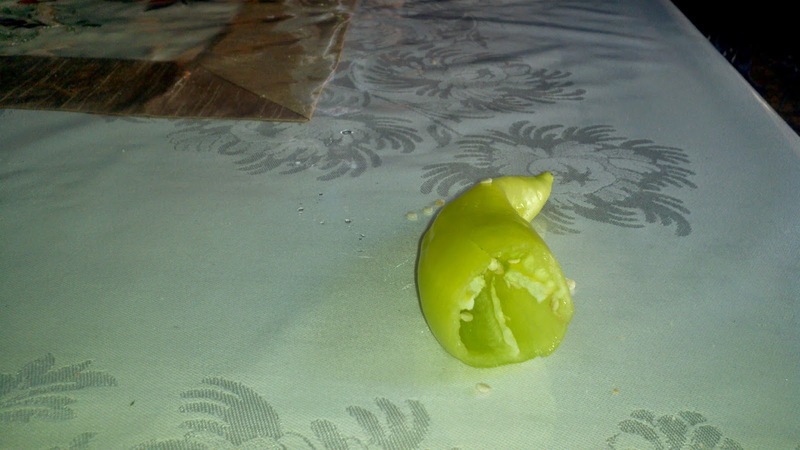 While I love Greek food, I'm not one for eating peppers. 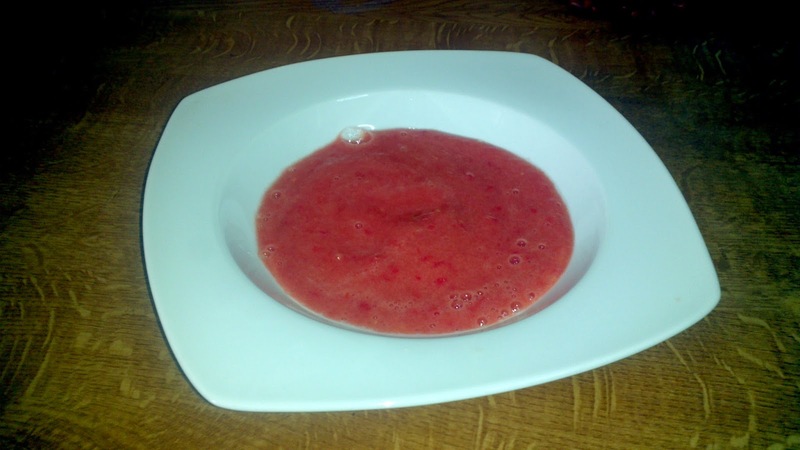 Those who do would love this recipe though. 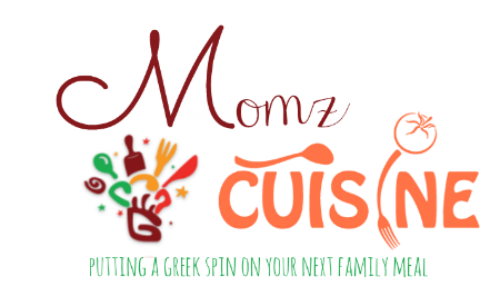 We are going to a Greek Festival this weekend :-) Thanks for sharing with us at the Home Matters Linky party. I hope you will come back next week too. This looks really good. I need to make stuffed peppers more often. They are so healthy! Thank you for stopping bu Kimberly and yes peppers are real healthy ! G'day! I love this idea and is now on the list to do! Trish your husband will be hooked !